. : Hot Sails Maui 2007 :. X RAY TALENT FACTORY 2007 Energy Rookies Camp. JULY 18 to 22 in Sicily and from 8 to 12 on the Lake of Garda. 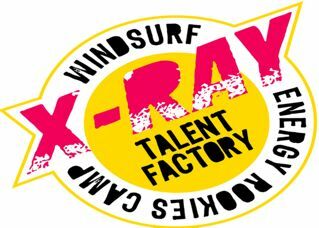 The X RAY TALENT FACTORY is back again as one of the most popular surf events for the young Guns of freestyle in Italy. This training camp is dedicated to the young guns Italian Windsurf Freestyle sailors. Raimondo Gasperini and his Team have worked on a program that will present the secrets to succees for all the new school moves such as the vulcan, spock, willy skipper, duck tack, speed and forward loop, flaka, ponch and all the new last switch move. This camp is dedicated to the highest levels of professionalism, with video-clinic lessons.